At some point, every homeowner will find themselves running out of storage space. Not many owners are Do-It-Yourselfers or have any time to plan and complete a storage project. One quick solution is to purchase a custom shed for additional storage and have it delivered to the property. Backyard sheds can be used to store anything, including agricultural or garden tools and products. There are even sheds that are designed as holding areas for bikes and boats. Many people choose gable sheds for their backyard addition. There are several reasons for this. For one, this shed has an A-frame roof which fits or complements any home design. Whether the main home features a modern or traditional aesthetic, a gable shed can blend in with the property. The home provides a space for living, eating, and sleeping. However, in some cases the homeowner may want some type of space for more creative pursuits. An expanded shed may be the solution for this particular need. Some sheds with ample space can be transformed into a creative nook. It can become an office, or a reading and writing corner. As a garden retreat, the property owner can fill the space with a desk and books to spur the creative process. The space can also be transformed into a music room or studio with soundproof walls and musical instruments. For the health conscious, transforming a shed into a fitness or wellness area makes sense. If the shed is spacious and well-ventilated enough, it can be fitted with basic exercise equipment. Or for a more minimalist space, add a comfortable mat and some audio setup to transform the shed into a yoga studio. Shed options have gone beyond the tin-roofed wooden structures of yesteryears. They now come in different materials and configurations. Property owners can now choose from sheds made from metal sheathing, wood, plastic, or vinyl siding. Some innovative shed ideas also incorporate sustainable and recyclable materials into the design. Depending on the material, some custom-made sheds can be termite proof or fireproof, or even rust resistant to ensure a longer useful life. 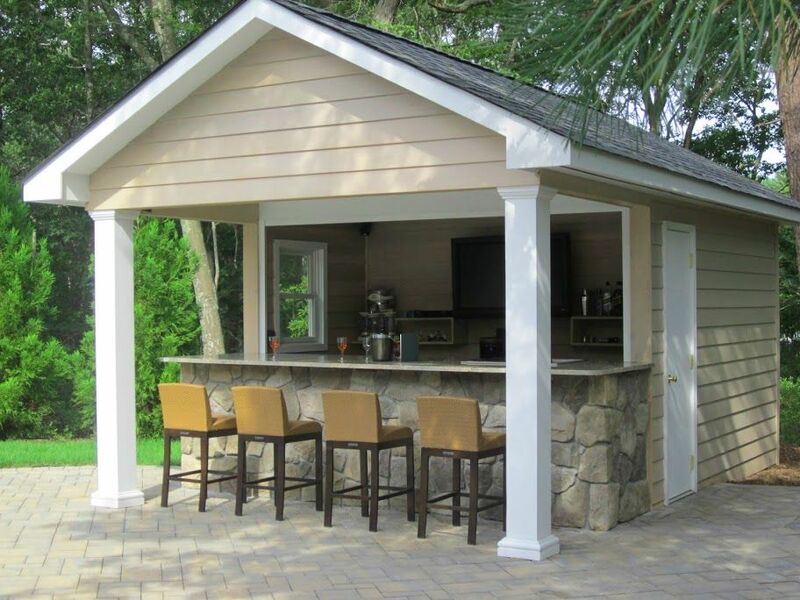 Today, there are custom shed builders that can guide property owners through the process of selecting the right kit, scheduling the delivery, and installing their new backyard structure. With more varied solutions in the market, property owners have to make sure that they are getting their money’s worth. Once they have made the right product decision, these sheds could serve as an extension of their home. It could be a space where one can store extra stuff; play or be creative, or; spend a quiet afternoon in.